Before you can experience success with your golf course’s golf app, you have to get it onto people’s phones. (Thanks, Captain Obvious!) That’s much easier said than done. There are some parts of your customer base that expect you to have an app for your course so getting them to download your golf course app isn’t as difficult. 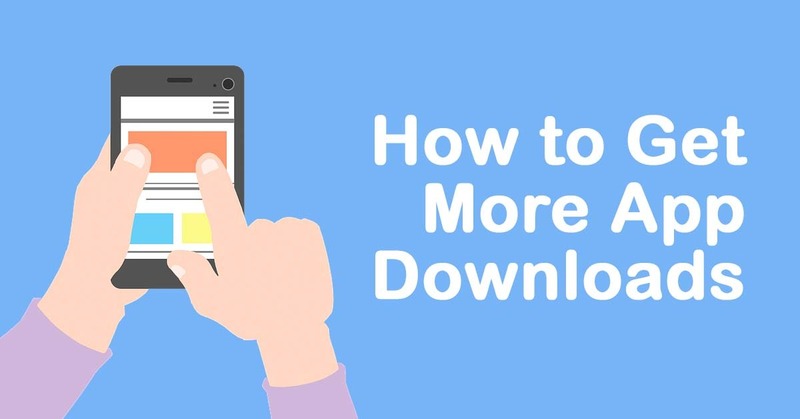 For others, you need to employ a strategy to maximize download opportunities. This means creating chances to get your app onto your customers’ phones. Customers don’t see apps as a way to receive advertisements. They download apps for their perceived value. For instance, the customers download the Starbucks app because they find value in the convenience of ordering coffee from their phone and because they can earn free drinks with loyalty points. If a member came to you and asked “why should I download the golf app,” what would you say? Once you’ve established the value – what’s in it for them – you can ask for the download. You want to promote your golf app and ask for downloads on as many places as possible. Here are some of the best opportunities most golf clubs have to promote their golf apps and maximize download opportunities. Put a section on the homepage of the website that lets your visitors know you have a mobile app for your golf course. There should be buttons linking to respective app stores in this section, but also a link, preferably the heading and/or image, to a webpage that explains what the app is, what it does, and why it’s a valuable download for your visitor. This page should include download buttons as well. You app provider should be willing to help you with this, but you may need to approach your website developer to get it online. Your email list subscribers are some of your most engaged customers. These are the people most likely to see value in what you’re offering and download the app. Best of all, they’re also most likely to use it and engage with your golf club through the app. Feature the app prominently in your email messages and link to both app stores and the page on your website with more information. Your mobile app should be featured regularly in your newsletters to increase download opportunities. If your website is equipped with pop-up boxes or slide-in boxes typically used for email collection, you can use these features to promote your app as well. This could be a great way to get more downloads for some courses and not for others. With a tactic like this, it’s important to check-up later on to see if it’s working. If you try this tactic, set a reminder for three or four weeks later to check the website stats on how many downloads the pop-up/slide-in is generating. If it’s not getting any, turn them off. “I love getting alerts about last minute tee times, that’s why I love the (NAME OF YOUR GOLF COURSE) app.” John Hope. The rule of thumb for Facebook as a golf course marketing tool is to make posts that do something for your readers, not posts that ask readers to do something for the golf course. In your Twitter profile, you can link to the golf app page on your website. You might also pin a tweet to the top of your timeline promoting the value of your golf app with an image that shows it off with links to the app store where it can be downloaded. You can apply these same value-oriented tactics to other social media networks. Remember to use language and messaging that shows your readers what’s in it for them. Getting your customers to download your app on your property is a whole new game. They’re likely already your customer, so they should be more likely to see the value in downloading your app. It’s important to include that value when your staff verbally encourages people to download. This kind of message coupled with a tactile prompt like a sign or a card at the point-of-sale can be very effective. We recommend business cards that promote the app and its benefits at your point-of-sale kiosk and anywhere you keep scorecards. We don’t expect any golf course operator should want to plaster every square inch of their property like a NASCAR promoting their new golf app, but there are a few more prominent opportunities to reach out to customers to get the download. Posters in restrooms are a great way to put the benefits of your golf app in front of a captive audience. Tabletops tents in the lounge and dining room are also a great place to let people know about your app, particularly considering there is probably lots of mobile phone use going on at these tables. You can encourage your service staff to mention and encourage app downloads to customers who have their phones out in these places. One of the most important things you can do to increase your downloads is to ask for 5-Star reviews of your app. 5-Star reviews let other people know that this app is awesome and worth downloading. They also signal to the app stores that this app is awesome and worth downloading! So the more 5-Star reviews you can get the better. The easiest and best way to do this is to ask people to do it, particularly your members. And don’t be coy about telling them why this is important. Saying something upfront and honest like “Can you do me a favor and give our app a 5-Star review on the app store? This will show other people that downloading the app is a good idea and will benefit the club in the long term,” should be enough for anybody with a vested interest in the golf club to spend a minute helping out. You can do the same for your non-member customers. These are some simple and sound tactics to increase awareness and uptake of your golf course app. Take advantage of every opportunity available to you to get those valuable downloads. Above all, ask for the download and when you have them, ask for reviews. This helps the success of your app snowball. Weekly insight to help you bring more revenue to your golf club delivered straight to your inbox.